! You have to fill in the marked fields. Register your product now below and benefit from our extended 4-year warranty. The prize will be sent directly to their address. Form of address* ... please selectMr.Mrs. Are you sure your instrument is a lefthand model? B-stock articles are not included in the W-Music Distribution 4-year warranty. Nontheless we, of course grant the full 2 years of legal warranty. Our warranty applies exclusively to defects that can be verifiably ascribed to faults in material or workmanship. In order to activate the warranty, it is necessary to register products on our website warwick.de within 30 days after the purchase from a musical instruments retail trader (date of receipt). Also, it is required that customers are residents of Germany or Austria, and that the German or Austrian musical instruments retail trader has obtained the purchased products or product groups directly from Warwick. This extended warranty does not apply to products that are explicitly sold by musical retail traders as being demo or b-stock articles, even if they are offered with full retailer warranty. A product can only be registered if W-Distribution is authorized for its sales and distribution in your country. Products we have NOT directly sold or delivered to the musical instruments retail trader in question cannot be registered. If you have purchased products or product groups through any other delivery channels, this warranty is not valid. During the product registration, we will verify if all warranty requirements are met. If all is fine, you will receive a confirmation mail – this e-mail must be submitted with any future warranty claims for the registered product! So, please keep this e-mail as a proof for your registration. This warranty does not limit the consumer rights according to § 437 BGB (Civil Code), i.e. supplementary performance, avoidance of sale, reduction, or compensation. If your product has a defect within the statutory 2-year period of warranty, please contact the retail trader from whom you bought the product or product group. The retail trader will then contact us and use the registered serial number in order to directly claim statutory warranty as our trade partner according to § 437 BGB (Civil Code). After the statutory 2-year period of warranty, we back you up with 2 more years of extended warranty. If your product has a defect verifiably ascribable to faults in material or workmanship during this period, please contact Warwick Distribution directly to claim warranty. All Shippingcosts must be paid by the customer. In accordance with the statutory warranty, we will decide depending on the defect if repair or replacement of a product can be warranted. If a product is irreparable or no longer available, we offer a discount coupon worth 50 % of the product’s original purchase price that can be redeemed in our online shop ( shop.warwick.de ). Any other claims for the removal of defects than specified in these terms and conditions cannot be justified within the validity of our extended warranty. 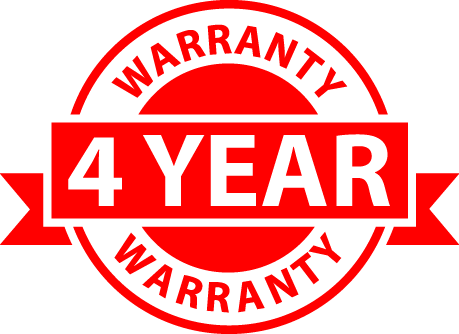 With the performance of warranty services, the warranty period is neither prolonged nor renewed. Thank you for your understanding that certain circumstances cannot be included in our warranty! The transfer of the warranty claims specified in these terms and conditions to third parties, especially through resale, is not possible. Thank you for purchasing a w-distribution product. Thank you very much for registering your product. In our online shop, you will find a lot of other articles which certainly will also be of interest to you.